I’ve had a pretty fun project going on this past month that’s taken a bit of time, but has totally been worth it. What is it you wonder? Well, I’ve designed and built a Google Site! Yep, a professional learning Google Site. For awhile now, I’ve been churning ideas around for how to better provide and organize professional learning resources for teachers at our school…whole staff learning in PD, coaching take-aways, literacy instruction, assessment, etc. And while I have a teacher resource book area in my office, I wanted to share more than that…think videos, example lesson plans, scanned in articles/readings…oh my! Well, it just so happened that a coaching buddy of mine provided the perfect inspiration. She shared the Google Site she created for her school last year and said she was really pleased with how it worked out. I thought it was pretty much the best idea ever, so of course I proceeded to copy! While the design and layout of my site is built differently than hers, the concept is the same…use a friendly technology resource as a tool to create an online, easily accessible, professional learning space for your teachers. If you’d like to take a closer look, click here for the link. One of my favorite pieces of the site is the Exit Ticket. Teachers complete the exit ticket at the end of PD each week. All of the data feeds into a Google form which allows us to clearly see what teacher take-aways and next steps are. I keep basic communication tied to coaching in the coaching section. 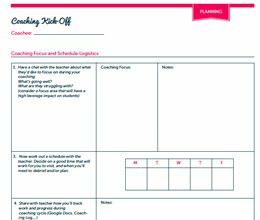 This includes an overview of the coaching cycle, a coaching log, and any resources or information used to support coachees along the way. In doing this, if other teachers in the building are also interested in learning about an effective Reader’s Workshop for example, they can check this page for resources or even check in with Mary Ellen or Kati to see what they’ve been working on. Make sure you’re super transparent with coachees and your principal about what information is shared. The majority of information/conversations exchanged within a coaching cycle should be kept between just you and the coachee. For example, the link to the coaching sysnthesis letter above is locked as private through Google Sites. So only the teacher and I can access it. 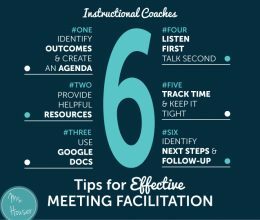 You can ask your coachee if they’re willing to share their instructional take-aways from a coaching cycle with the principal, and if the answer is yes then you can share the link. 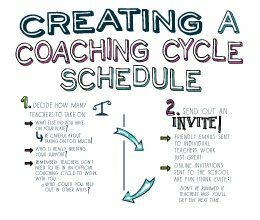 Otherwise, what happens in a coaching cycle, stays in a coaching cycle. If you feel like this is a concept that would support teachers at your school, you should definitely go for it! Google Sites is very user friendly, I promise. And I bet you’ll even have some fun while you’re at it. If you do decide to give this idea a go and questions pop up along the way or you’d just like some feedback, shoot me an email. I’d love to help out. 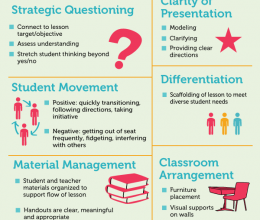 Planning for Differentiated PD. Let’s Change It Up! Ms. Houser.com proudly supports the Tollgate Tigers, Aurora Public Schools and teachers everywhere.